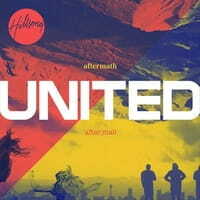 While the word aftermath is generally used to describe the negative outcome of a tragic incident, the members of Hillsong United put a unique twist on the definition for their second official studio album and eleventh full-length recording. Set in this context, aftermath is used in reference to the outcome of Christ’s crucifixion. Death on a cross resulted in “aftermath” that provided the world with joy, peace and love found through life in Christ. And this new project offers nothing less than the pure simplicity of the fruits of the Spirit. While this record finds the members of Hillsong in-studio, the songs possess a live quality that the band seems to radiate no matter what they do. The anthems carry on a life all their own. While standard worship leaders Joel Houston, Jad Giles and Jonathon “JD” Douglass all take the lead, Hillsong is a veritable revolving door of voices, songwriters, and melodies, casting the spotlight decidedly on the rhythms of worship versus the people leading the songs. This is part of what makes Hillsong United so unique. Aftermath feels like a compilation album with singers trading lead vocals from song to song. The epic quality of the tracks remains cohesive, although, at times, the unity makes it hard to discern the distinctiveness of each song. Some of the tracks are so lengthy—with several going over the seven minute mark—they are sung as if they were recorded in a live setting with thousands of worshippers versus being recorded in the confines of a studio. One can’t deny the potent ability these songs hold to usher the listener into worship. The title track is one of the most beautiful contributions with the lovely lyrics: “The hands that cradle the stars are the hands that bled for me…” “Like An Avalanche” is another highlight thanks to the striking vocals of Jill McCloghry, who also adds her enchanting voice to “Bones.” “Father” and “Awakening” (penned by award-winning writers Reuben Morgan and Chris Tomlin) are also two noteworthy stirring tracks. Hillsong combines the musical prowess heard in mainstream music—even borrowing soundscapes from British bands like Coldplay at times—and pairs this atmospheric aura with reverent lyrics. Yet, Hillsong goes beyond the congregational-friendliness common to modern worship anthems by adding their own artistic flair. With some interesting synth and electronic elements mixed into what are mostly powerful anthemic ballads of praise, any of the songs on this collection can instantly be envisioned filling up arenas. No doubt these songs will find an easy home at progressive churches around the world and will continue to be the heartbeat of this generation. Listen to more of their music with Hillsong United music videos at Godtube.com!